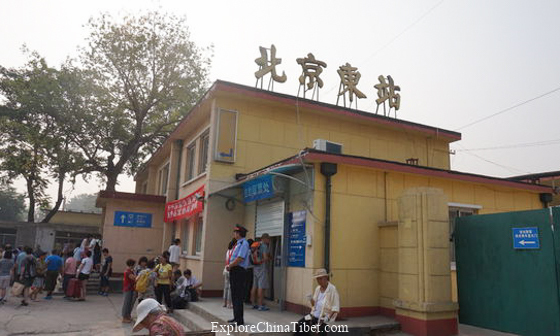 Blog Discover Beijing Beijing Railway Station: North, East, South or West? Beijing Railway Station: North, East, South or West? Getting the train around China is probably one of the best ways to explore the middle kingdom. So, you’ll probably be spending a fair amount of time in a Beijing railway station. It’s a pretty big country, so travel by bus or car just isn’t going to get you very far. You could try to use China’s DiDi taxi service, but we don’t know of many drivers who would be happy about a journey from Beijing to Harbin – no matter what the bill wracks up to. (But do let us know if you try it!) Chinese trains are relatively cheap and pretty comfortable, plus you have the option of the fast train or the sleeper train. Beijing is a hub of train activity, being the capital city of China. There are thousands of trains that pass through every day, meaning that one train station just isn’t enough. In fact, neither is two or three. 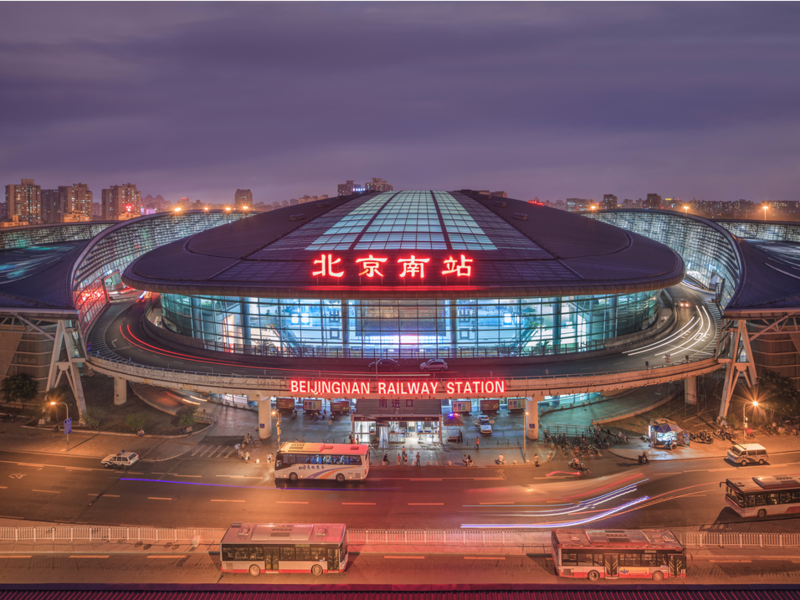 Beijing has 4 main train stations. This doesn’t include the Beijing metro either! This can cause some confusions and complications. Speaking from experience, it’s not the best situation to be in when you arrive at Beijing West station only to look up at the board, notice your train isn’t listed, and realise that it departs from Beijing Railway Station… Plus, Beijing is pretty big, and these Beijing railway stations are pretty spread out. To minimise confusion, we’ve put a handy guide together introducing each Beijing railway station. 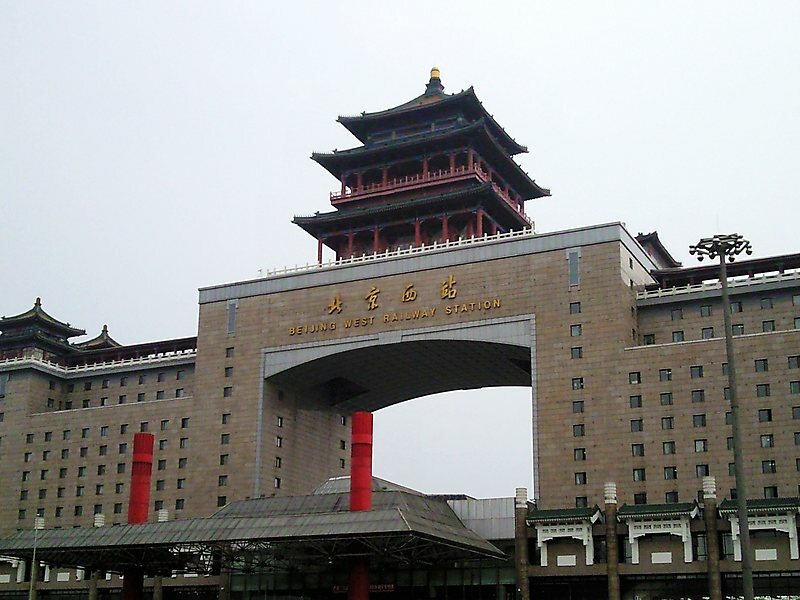 This Beijing railway station mainly operates slow/sleeper trains that head to the North or North East of China. This is also the train station where you can get the train from Beijing to Moscow or Beijing to Pyongyang. It is located within the second ring road of Beijing, inside the city centre and is pretty practical to get to – although taxi services around the area can be pretty frustrating. The subway is located conveniently right at the train station, so we’d recommend this as a mode of transport. There is also a taxi rank which can be pretty quick. If you want to get a DiDi, we recommend walking down the road or over the bridge to avoid the traffic/a confused DiDi driver about where you are. The subway entrance on the same side as the train station can get pretty crowded (I’ve waited for 30 minutes before to enter the subway). Walk over the bridge to the other side for 1 minute and you can beat the crowds. Biggest railway serving as the main high-speed railway. Beijing subway line 4 & 14. This train station in Beijing is located South, as the name suggests. Beijing South lies between the 2nd and 3rd ring road. It is easy to access both by subway and by taxi. Beijing South is Beijing’s largest railway station, and it’s very new. Actually, it is also one of the largest in the whole of Asia! It only opened on 1 August 2008 – and you can see this from the incredibly modern interior, clean floors, and practical layout. 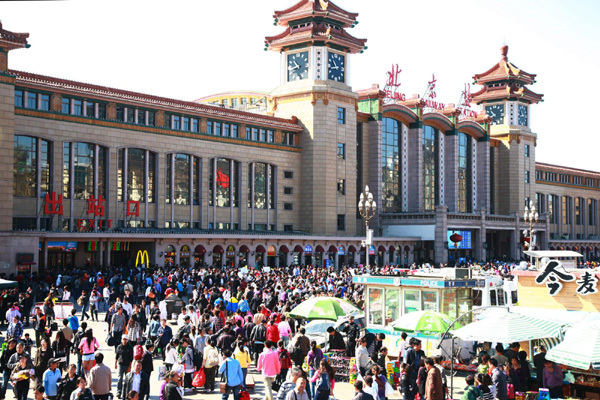 It is the most popular railway station to catch a high-speed rail. It also serves the popular Beijing-Tianjin route, as well as routes to big cities to the South of Beijing, such as Qingdao and Shanghai etc. Second most important high-speed rail hub in Beijing. Beijing West is a bit of a pain to get to, but it is the second biggest transport hub for high-speed rail in Beijing and also serves some sleeper trains. Every day, it sees over 270 trains heading off to other cities around China, for example to Xi’an, Chongqing, or even as far as Kunming in China’s South West Province Yunnan. To get the Beijing – Hong Kong train you will use Beijing West railway station, as well as Beijing – Tibet. Or why not go to Beihai and study Chinese in our new school there? If you are getting a normal train, head to North Square. For fast trains, use the South entrances. Subway line 1 / 14 and get off at Dawanglu, then walk south for 10min. 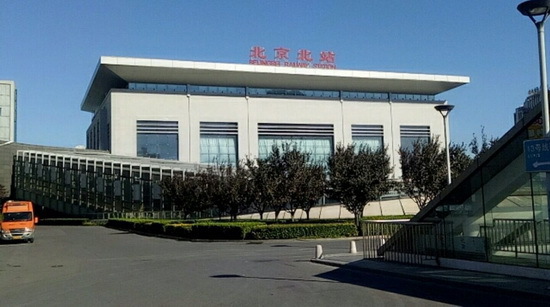 The little talked about Beijing East train station does actually exist and is still in operation, however, it only operates to nearby cities and only normal sleeper trains. It is located far outside of the city in the East of the city outside of the 4th ring-road in Tongzhou. There is currently a new Beijing East train station under construction due to be completed by the end of 2018. Beijing North Railway Station currently not open. Beijing North railway station has been closed since Nov. 1, 2016, and plans to re-open in 2019, as it is currently undergoing renovation. When it is completed, it is planned to be the starting station for the Beijing – Zhangjiakou High Speed Railway, which will open in 2020. 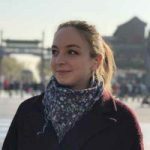 So, good luck on your train travels around China – and remember; do remember to check which train station your train departs from, otherwise you will most likely end up running frantically about Beijing city and missing your train.